Also Check out our Adventure Time Party Printables! Adventure has a new face, well several faces you could say. Finn and Jake are just two of the beloved characters from Adventure Time that children, teens, and even some adults just cant seem to stop watching. All the good themes are the hard to find ones. That is why we are so happy to bring you party games, invites and printables for your Adventure Time Party. So once again please allow us to help you create the party you have been searching for and let this be your last stop on the way to your Amazing Adventure Time party! A great way to start off your Adventure Time Party is to have the kids get into character. Boys nor girls can resist balloons, especially shaped ones. For this game you will need 260q latex balloons, also known as animal balloons, and a hand pump. Pump the balloon up 3/4 of the way and tie off. Follow the diagram below to complete the sword. Have each child grab their sword and begin the fight to be the ruler of the Land of Ooo. For this Adventure Time game you will need to print out an image of the colorful Lady Rainacorn, a few images of her horn, and a blindfold. Cut out the images of the horn and put tacking or sticky tape on the other side. Hang the picture of Lady Rainacorn on the wall or a tree. Blindfold a child and have them try to pin the horn on Lady Rainacorns head, the closest pin wins. 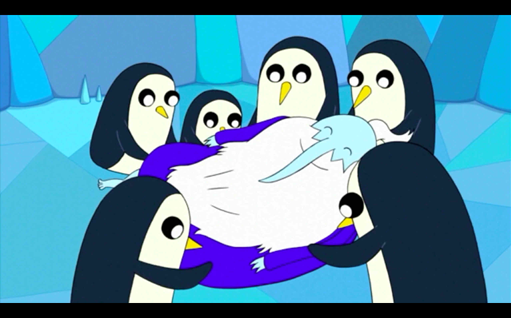 The Ice King loves his little penguin companions. Here is a fun little game that will get the kids to test their bowling skills. You will need plain water bottles and a grapefruit or a cheap toy bowling kit. You can print out images of the penguins and wrap the water bottles or pins. Set them up and let the kids take turns knocking them down. The Lumpy Space Princess has a bite that leaves quite the mark. A lot like having cooties, once bitten you starting getting lumpy. Give each child a sheet of at least ten stickers, simple round stickers are inexpensive and work great. Tell the children that throughout the party their mission is to get rid of their lumps (stickers) by giving them to others. The rules are that no one can see you put a lump on them and if they catch you, you have to keep your lump and try again later. If someone falsely accuses you of lumping them, then they have to take one of your lumps. The first to successfully get rid of their lumps wins. 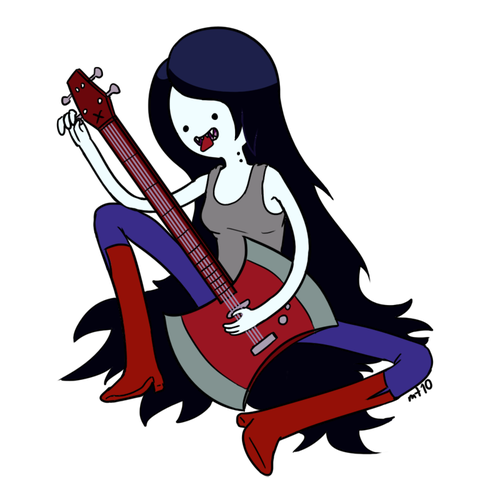 When it comes to Marceline, she can be quite the joker. But she finds nothing funny about her love for Hambo, her teddy bear. Hambo is a very old, raggedy bear and has fallen to pieces. Marceline needs to find Hambo and put him back together in order to feel whole again. Print out a picture of hambo and cut him into pieces, like you would a puzzle. Have some glue and a large piece of construction paper ready to paste the pieces on. Hide Hambos pieces around a room and have the kids find them while guiding them when they are hot or cold. Once they find all the pieces have them work together to put Hambo back together. In Adventure Time there are many characters in the Land of Ooo. So why not bring Ooo to the party. Write the names of a character and some of their traits from the show on a piece of paper. You will need enough for each child attending. Put the pieces of paper inside of a balloon and blow them up. As each child arrives have them pick a balloon and pop it. They are to act as this character for the rest of the party without telling anyone who they are. At the end of the party have everyone write down who they thought each character was. The one with the most correct guesses wins. Princess Bubblegum is quite the scientist. She is the creator of all her little candy people. Purchase several types of candies of all shapes, colors and sizes. You can also purchase royal icing to hold the candies together or if all candies are soft, you can use toothpicks to hold pieces together. As an extra you can have some paper cut out goggles for each child to wear. Have the little scientists, put on their bubblegum goggles and gather around to help create their very own Candy Kingdom. Let them dry while playing other games and when ready, the kids can act out their own Adventure Time episode. 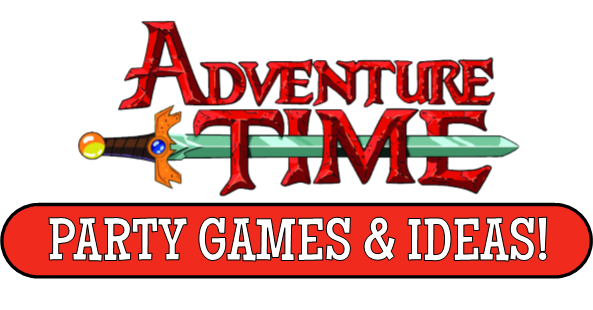 Adventure Time Games can also involve an awesome treat when you let the children open their creative little minds and let it flow. Granted most boys do not like the idea of decorating cookies but if you tell them its Adventure Time poop cookies, I bet they will jump on board. 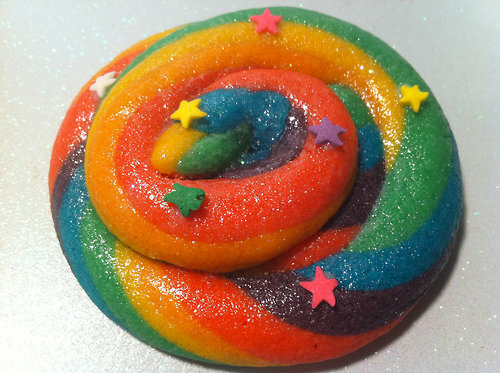 Once you bake the cookies and they have cooled, let the children decorate their poop and they can experience what Finn likes to call Poo Brains. Enjoy!! The character Tree Trunks loves anything to do with apples. She's even been caught stealing her own apples. Not today though. Place an apple on a table. Have one child leave the room. Select another child to put the apple behind their back and replace it with something of theirs. They can leave behind a bracelet, shoe, belt or any object they want. Have all the children stand with their hands behind their backs and have the other child come back into the room. They now have to guess who stole Tree Trunks apple. Once they guess correctly someone else will take his place. Who is the apple thief? Lemongrab is not the easiest candy to get along with. 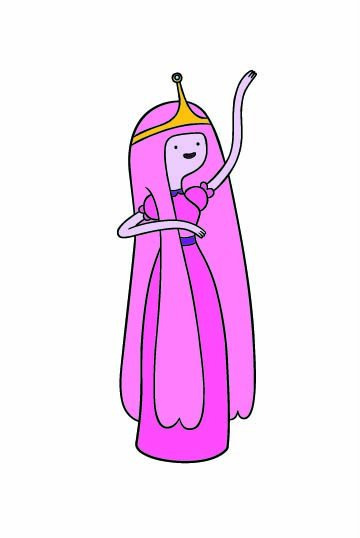 He was so unbearable that Princess Bubblegum made him his very own clone because no one else could be around him. But there is only one real Earl of Lemongrab and the kids have to find him. Blow up one yellow balloon for each child attending and inside one of those balloons put a piece of paper with Earl of Lemongrab written on it. Tie one balloon with a piece of yarn to each childs ankle. 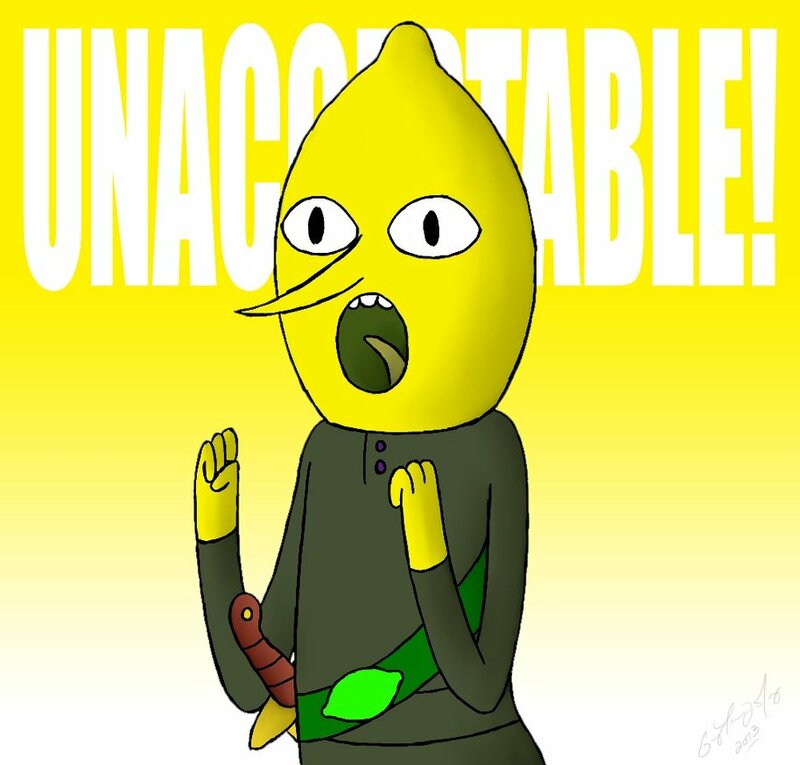 Now the children must stomp each others lemons, while protecting their own, to find out who the real Lemongrab is. The one to find the real Lemongrab wins. 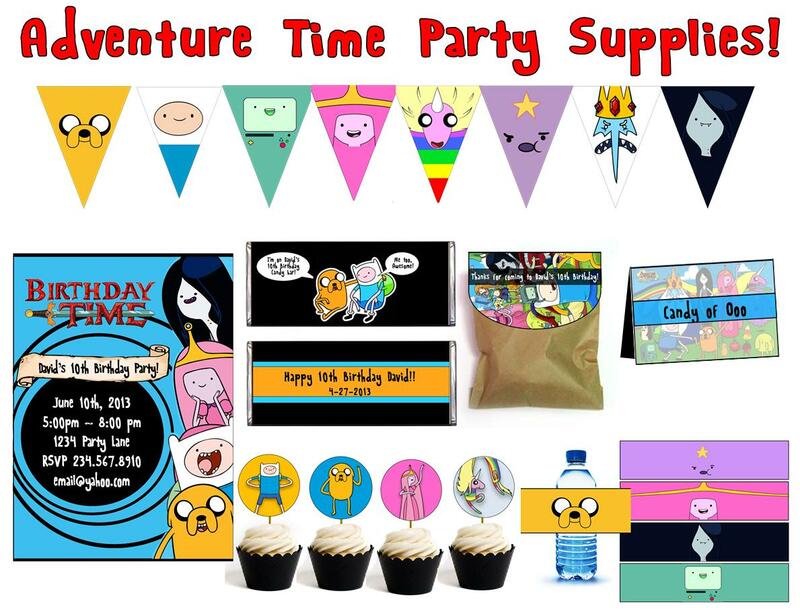 PRINTABLE ADVENTURE TIME PARTY SUPPLIES! Adventure Time party supplies is so hard to find. I created these printable party supplies to make pulling off this theme a cinch! Everything comes in ready-to-print files via email. INSTANT DOWNLOAD! get your adventure time printables now!